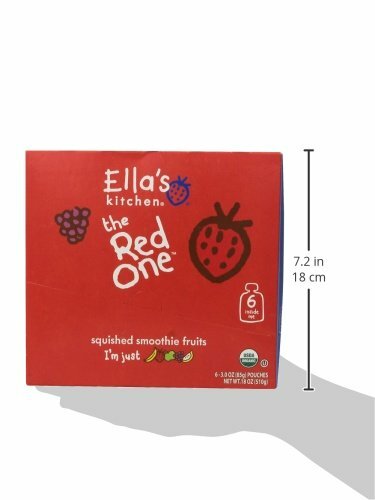 Ella’s Kitchen Organic Smoothie Fruits, The Red One, 3 Ounce. Hello, I’m just squished bananas, strawberries, apples + raspberries with a dash of lemon juice. I’m just an organic smoothie fruit snack, with nothing else added, not even water. 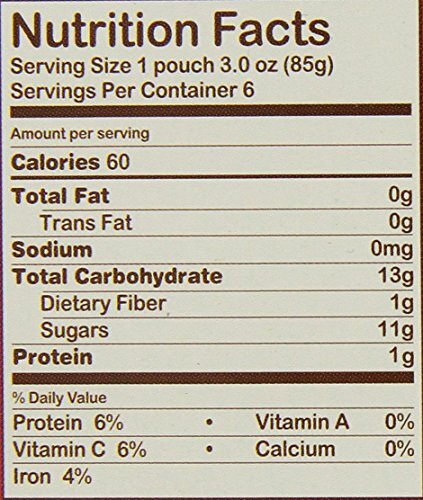 My ingredients are suitable from 6 months. Highest to pop snuggly in a lunch box, picnic or of their little hands. I’m suitable for vegetarians too. Shake me, squeeze me + slurp me up! Keep me in a pantry. Once opened I will be kept within the fridge for as much as 48 hours. I will be frozen – I’ll be just a little cold but still taste yumm! Our mission is to develop healthy eating habits that last an entire life by offering a range of tasty, natural and healthy USDA certified organic foods for babies and kids, that are at hand for moms + dads and fun for little ones.